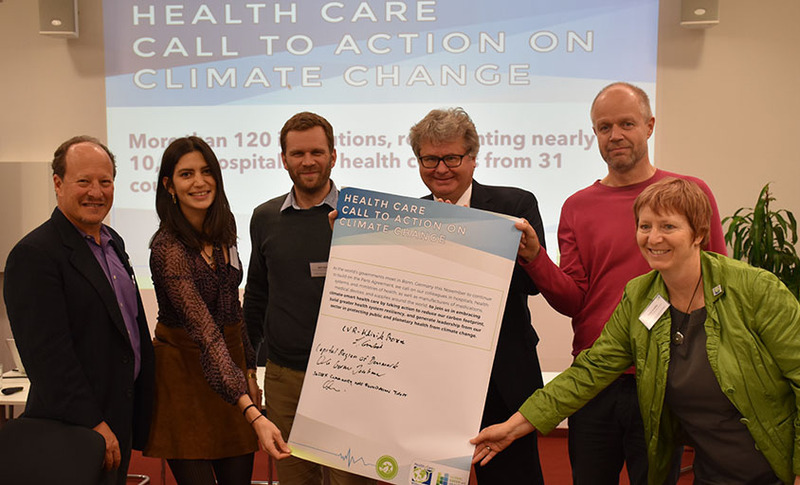 Last week in Bonn, as the COP23 climate negotiations continued, staff from approximately 20 hospitals and health systems came together at a roundtable meeting to discuss healthcare’s response to climate change and sign Health Care Without Harm’s Call to Action on Climate Change. The two-day high-level roundtable meeting was convened by the European Healthcare Climate Council - a newly formed coalition of European hospitals and health systems that are committed to strengthening the healthcare sector’s response to climate change. The meeting served as a platform to discuss the challenges and ambitions of hospitals and health systems in their efforts to build low-carbon and resilient healthcare. Discussions contributed to the development of a common vision of Climate-Smart Health Care ­– a term coined by the World Bank Group in a recent report which sets forth both low-carbon and resilience strategies designed for the development community, ministries of health, hospitals, and health systems to deploy while addressing the health impacts of climate change. 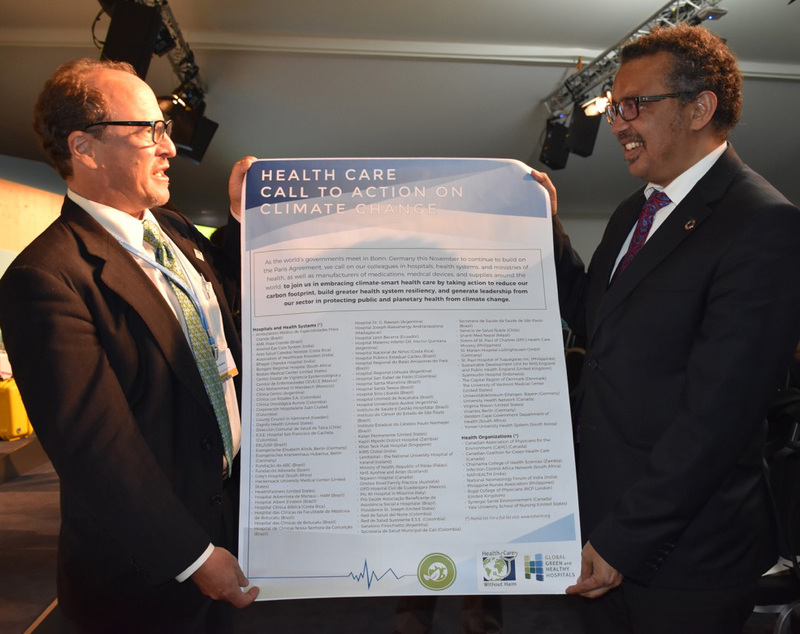 The Call to Action - which was also signed by several organisations represented at the roundtable meeting - has already been signed by over 120 institutions from 31 countries, representing the interests of more than 10,000 hospitals and health centres around the world. It is a powerful message from the healthcare sector about the need for action and leadership from all parts of the wider system. This message from hospitals and health systems to colleagues and sister institutions around the world calls on healthcare to address its own climate impacts, and to prepare for expected serious climate-change induced extreme weather impacts. In the U.S. alone, healthcare is responsible for an estimated 8% of greenhouse gas emissions. The first day of the meeting was held at LVR-Klinik Bonn - an excellent setting for the event: the clinic was awarded the BUND (Friends of the Earth Germany) "Energy-saving hospital" label for the third time in a row in 2016, and has been certified according to EMAS (Eco-Management and Audit Scheme) since 2013.